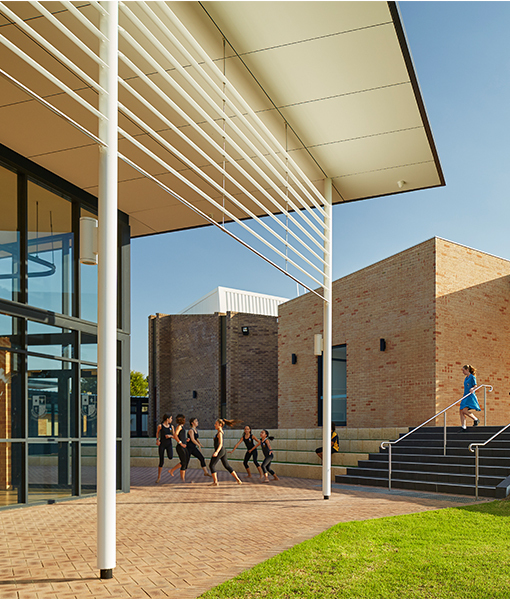 St Norbert College is located in Queens Park, Western Australia, and the Performing Arts Centre is the first stage of a campus master plan and the realisation of a 30 year dream. 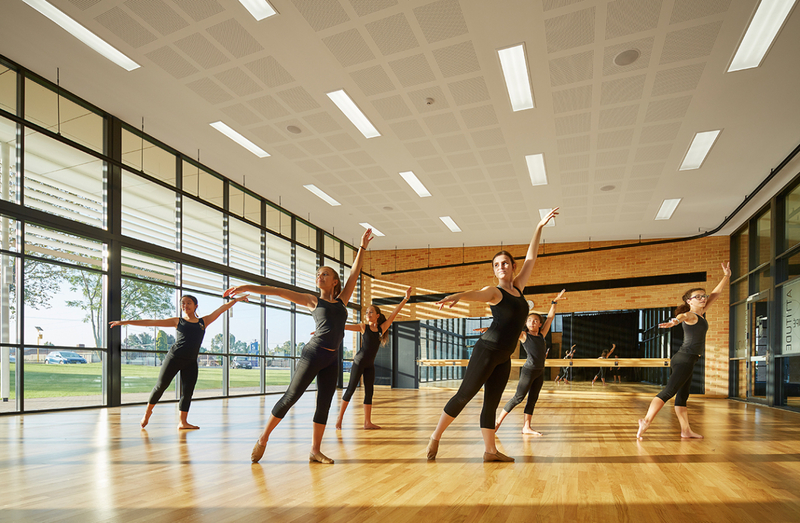 The new fit-for-purpose and state-of-the-art Performing Arts Centre allows the College to consolidate the performing arts program into one facility. As part of the project, the existing Xanten Theatre foyer was replaced, the existing stage and fly-tower extended and a new building wing was added. 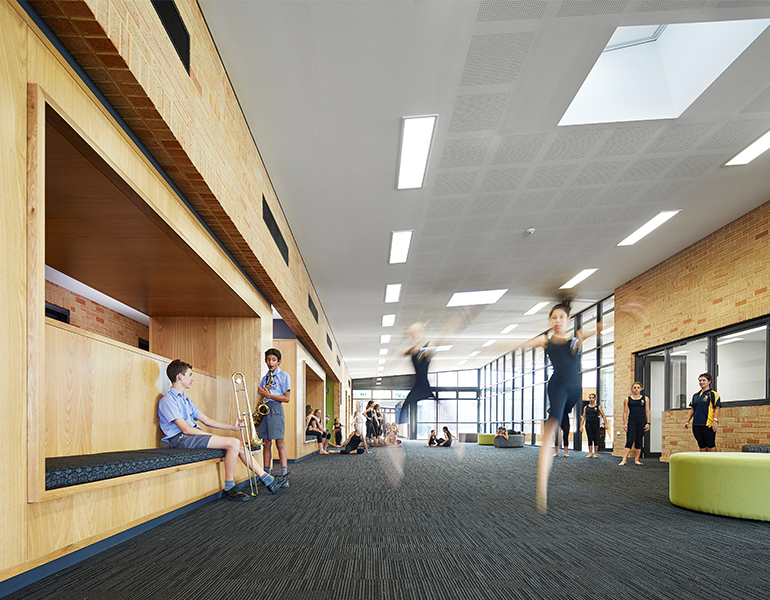 The new building wing includes a dance studio that doubles as a green room, music classroom with multiple practice rooms, dressing rooms with adjacent ablutions, large breakout space for incidental learning and school events, staff offices and facilities, uniform shop and storage. The orientation of the new building creates an external amphitheatre for outdoor performances. 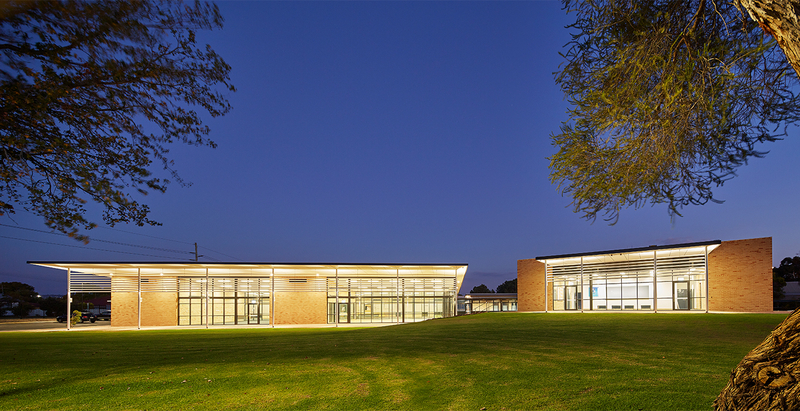 The project pays homage to the existing architectural language of the Xanten Theatre and the College by limiting the palette of materials and finishes to face brick, glass, steel and timber. 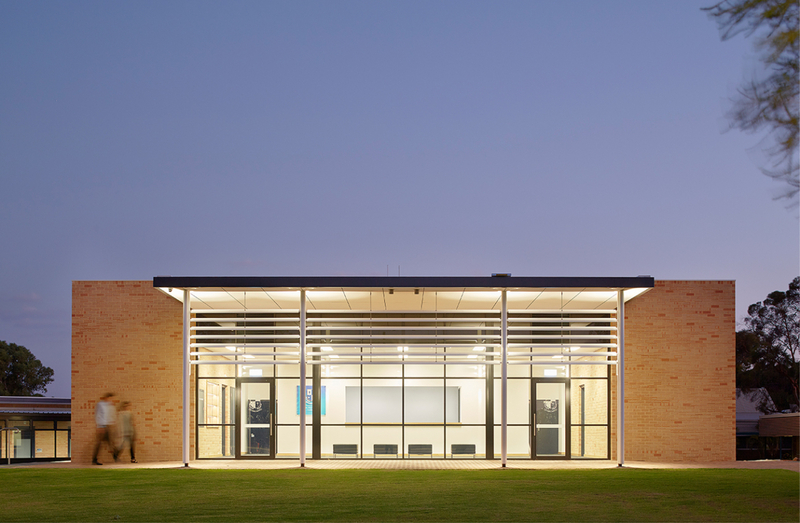 A language of simple forms consisting of fully transparent spaces balanced with solid compartments creates a timeless entry statement for the College.